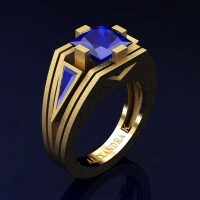 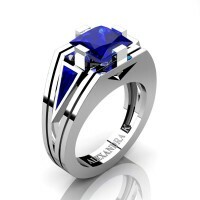 Exclusive, elegant and chic, this women’s 14K black gold ring features a 3.0 carat 7 x 7 mm princess cut lab created blue sapphire flanked by two 0.3 carat 2 x 7 mm triangle cut blue sapphires. 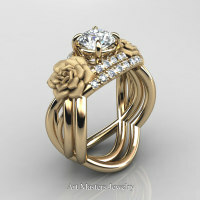 Ring comes in a deluxe jewelry box officially stamped 14K weighting approx 8 grams. All sizes are available for both women and men. 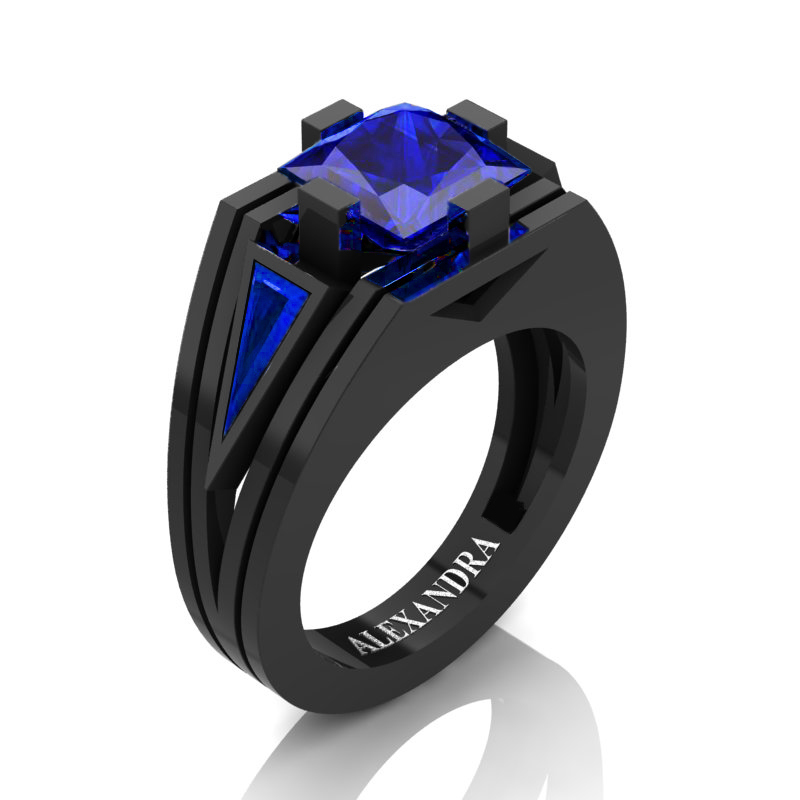 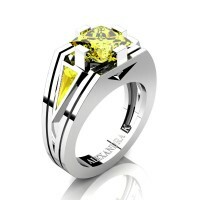 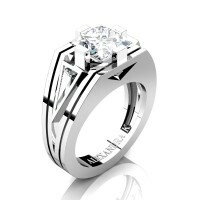 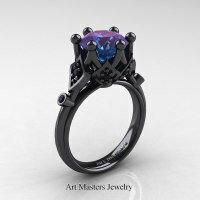 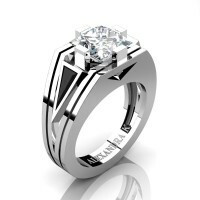 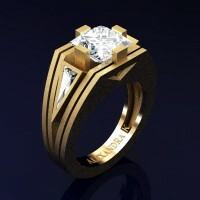 This women’s ring by Alexandra Jewelry showcases an extraordinary modern design featuring Anglo Saxon architecture. 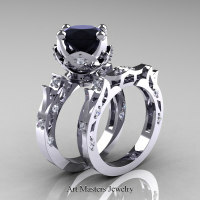 It evokes bold character and elegant style. 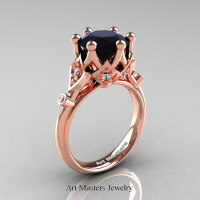 Be the first to review “Womens Modern 14K Black Gold 3.0 Ct Princess and Triangle Blue Sapphire Wedding Ring A1006F-14KBGBS” Click here to cancel reply.